Getting full color mesh banners for any outdoor activity is a popular trend. They are made of mesh, which enables wind to flow through them hence increasing their life. They have metal grommet holes that help in hanging. It's pretty reliable tool for windy locations where the advertiser fears tearing out of the products. We offer you outdoor signs in various shapes, sizes and designs. All you need is to come up with your specifications and get the product back in a record time. 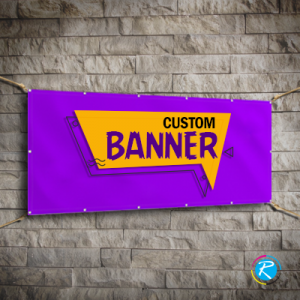 There are various types of banners that are being extensively used for the sake of marketing, awareness creation and promotion. 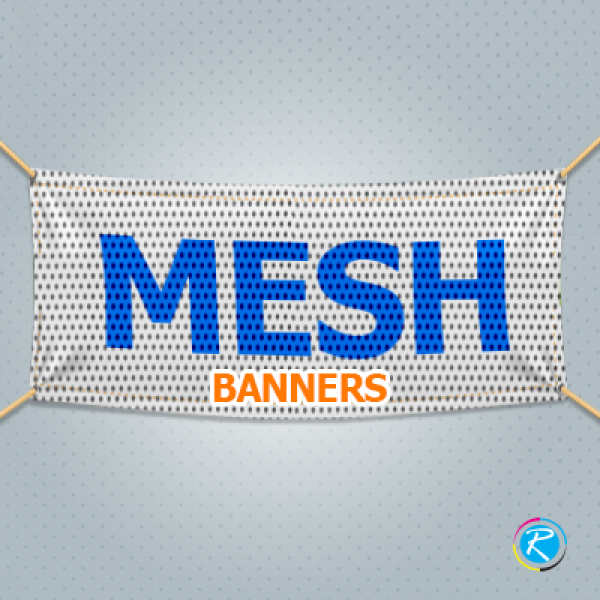 Mesh signs are one such artistic solution in this category. They are a great solution for windy locations to ensure durability. At RegaloPrint, we always take the design of the product and its durability equally important. Those marketers, who intend to find some reliable form of banners, use polyester made outdoor banners. Employing full color printing process with CMYK/PMS resolutions, we have been delivering the most fascinating printing results that gained us thousands of loyal customers. We offer you three key competitive advantages: first, reliable printing results based on our experience; second, low-cost printing solutions that we develop by using the most efficient machinery; and finally our enhanced freedom for clients and custom banner printing services. If you want low-priced but reliable printing solutions, RegaloPrint is the right place for you. We are a 24 hour printing service; therefore you can place the orders anytime. Our vibrant customer support representatives will be more than happy to help you in finding the most dependable product for you. Though, most of the product categories have comprehensive information, yet you can contact our CSR's through live chat window. The beauty of our printing service lies in customization and superior freedom that we grant to our customers. 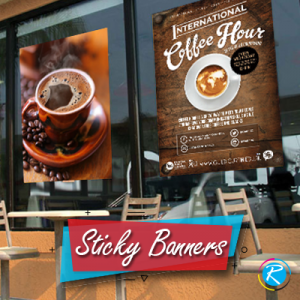 Printing Outdoor Mesh Banners in a faster way! 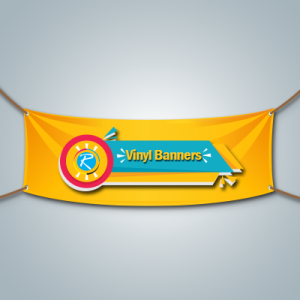 We not only offer you banners of various standard sizes but also print in the individualized shapes. 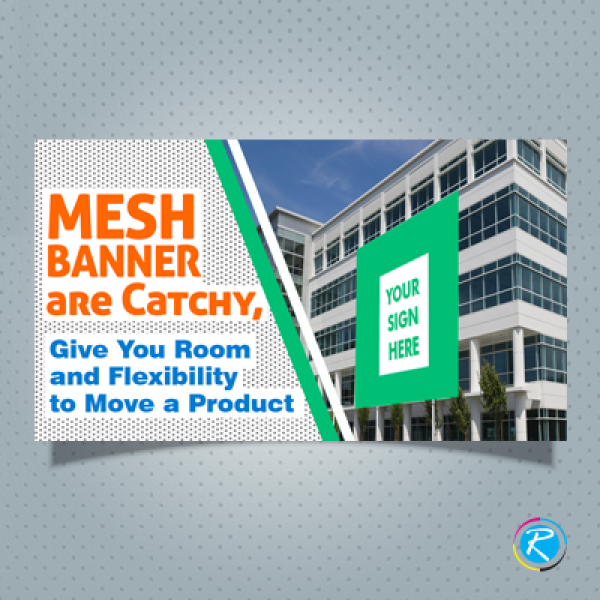 Whether you want 10 oz or 12 oz mesh banners; RegaloPrint is the best place to get them. To increase the satisfaction level of our customers, we have introduced new set of creative services with ever order. Now, you will get FREE samples, quotes, custom designing/redesigning, handling and shipment along with many other services for FREE. The order placement process is very simple and convenient. Make a clear and comprehensive list of product specification to help us make the perfect product for you. If you are able to tell our support representatives about your expected usage of mesh signs, we would be in a much better place to make an ideal product for you. 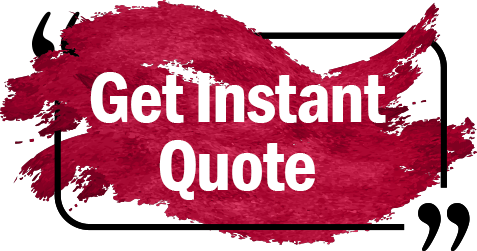 You can ask for advance custom quotes and samples, to make the right choice. Additionally, you can also specify the preferred mode of printing for your outdoor signs and banners. We assure you of complying with your specifications and reiterate our commitment to serve you on the optimal industry standards with strong check on the cost.